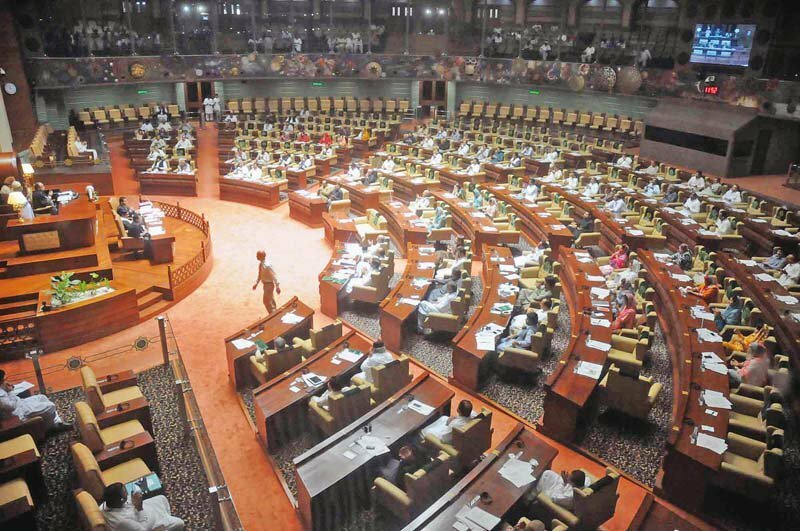 Taliba­n consid­er the Pakist­ani govern­ment fully respon­sible for drone strike­s, says spokes­person. ISLAMABAD: The Pakistani Taliban confirmed on Thursday that their number two in command, Deputy Chief Waliur Rehman was killed in a US drone strike. The terrorist outfit also announced it is withdrawing its dialogue offer to the new government. Tehreek-e-Taliban (TTP) spokesperson Ehsanullah Ehsan told The Express Tribune that the TTP would take revenge over the killing of their deputy chief. He said the Taliban consider the Pakistani government fully responsible for drone strikes in the region, because the government is passing information to the United States. “I confirm the martyrdom of Waliur Rehman Mehsud in a drone strike on Wednesday. We are shocked at the martyrdom of our leader but are proud of his sacrifices,” Ehsanullah Ehsan said. “We had sincerely offered peace dialogue to the government but we strongly believe that the government has a role to play in the drone strikes,” he added. The TTP have reportedly chosen a new deputy commander to replace Rehman. “There was absolute consensus over Khan Said,” one Pakistani Taliban member said. Peace effort at an end? While Waliur Rehman’s death is a major blow for the militants, it could be also viewed as a setback for incoming Prime Minister Nawaz Sharif’s efforts to end violence. He criticised drone strikes during the election campaign, describing them at one point as a “challenge” to Pakistan’s sovereignty. Sharif also offered to hold talks with the militants, something that now looked less likely, according to one senior security official. “Wali-ur-Rehman was a serious and mature man, his death could hurt prospects for an expected peace initiative considered by the new government,” the official told Reuters. However, many observers said any meaningful settlement with the Taliban was unlikely in any case given Sharif’s condition that the starting point for talks be respect for the country’s democratic order and institutions. The White House did not confirm the killing, in line with its practice not to discuss drone strikes. But its spokesman Jay Carney said Wali-ur-Rehman “has participated in cross-border attacks in Afghanistan against US and NATO personnel and horrific attacks against Pakistani civilians and soldiers”. After teaching at Karama madrassa,he joined the Haqqani network – the deadliest of all Afghan Taliban factions. "There was absolute consensus over Khan Said," one Pakistani Taliban member said. Waliur Rehman reportedly killed with six others in North Waziristan. OMG, Imran and NS bet on the wrong horse and this is now coming back to bite them. Very good news. These people don’t deserve any dialogue process. They just need military action. Period. Thats unfortunate. That also shows how immature these Taliban are. Its difficult but not impossible to eliminate them through military. Lets try the hard path now. Hail Obama. Time for the Pakistani nation to eliminate these pre-historic termites. America did the drone strike and they withdraw dialogue offer from Pakistan? Lol. It seems like that they were waiting for the reason to continue the war against Pakistan. Welcome to the party Mian Nawaz Sharif. America did the drone strike and they withdraw the dialogue from Pakistan? It seems like that they were waiting for a reason to continue the war against Pakistan. That is why US killed him. Now brace yourselves for more bloodshed. When are PTI and PMLN announce breaking ties with US as a result? Seems these “mujaheed” used such talk only for political gains. Time to utterly destroy them and their sympathizers once and for all. The chain of events clearly prove that Terrorist USA knows the where about of these TTP high ups and will use their death as a way to keep pushing PAKISTAN against Taliban. Writ of the state must be obeyed by all including our military and there must not be a mixing of good or bad Taliban as all are bad and we are allowing a second state within the state ( there already exists one, state within the state). If our military can’t control these elements, why are we spending huge portions of our budget that is even kept secret. For the sake of people’s welfare and country’s existence, we must cut and shrink our defence budget and send some people on strict diet who has become obese and can’t support its own body weight. We need all institutions strong without any interference of the other especially judiciary that may be the only way to create writ of the Government. If there is no support from our inner own elements to Taliban, Taliban can’t exist for more than a week. Should I drop a hint, why are we shouting when a drone eliminates any terrorist ! ! ! The heaven in background is looking so sweet. Our dear Almighty Drones, do us a favor, kindly send all these apes to heaven please. Our generation will be hailing you. Many thanks. US wants Pakistan to bring Afghan Taliban to negotiating table but it doesnt want Pakistan to talk to its own version of Taliban. Why leaders cant see these double standards? Why not say that if talking to Pakistani taliban is bad then talking to Afghan taliban is also bad. Okay then i think now we are all done with dialogues. The people of KPK (as well as the rest of the country) need to be free of these stone aged (but technology loving) , fitna creating violent, irrational assasins. these smiling faces of murders must be eliminated completely. no need to have dialogue with them. ET should consider a new picture — the one you always use makes them look like a comedy team rather than people who slaughter women and children without remorse. It the Taliban apologist still believe that these people can be reasoned with then they are living in a fool’s paradise. It is time that our army relentlessly peruse these animals and wipe them off completely. I have lost family friends in the bomb blasts by TTP and their likes. They have killed thousands in Pakistan and impacted the lives of millions. The only way to deal with them is through the barrel of a gun. We are not afraid of you, you are coward people who can’t come out and fight one to one with Pakistan Army. No Dialogue with Killers anyway! 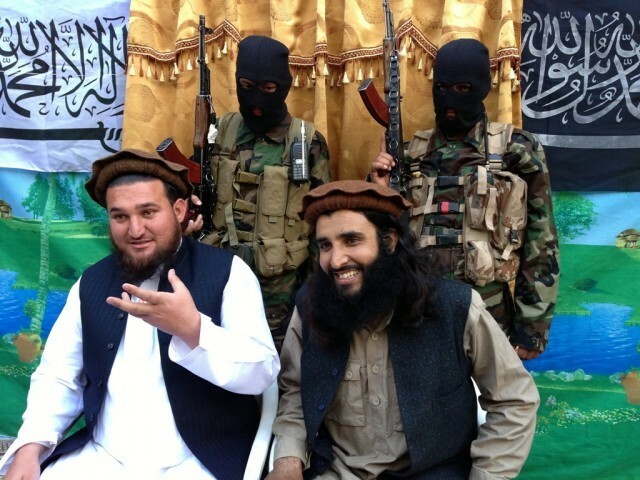 Wali ur Rehman was few of the sane voices in TTP and Halikullah Mehsud’s animosity towards him is not a secret. Timing of this drone attack suggests that the forces that are anti dialogue between Pakistan and TTP are really desperate, as they see that a dialogue is a possibility War is not solution to the problem we have learnt that from history may it be IRA conflict which eventually ended on table or our armed forces under estimation of situation in East Pakistan in 1970 which ended in our surrender, war will only bring suffering. The road to dialogue will not be easy, there will be more obstacles thrown on the way to peace, however with determination we can achieve peace. I can’t wait for the day the grinning faces of these two monsters are droned. that confirms PTI’s stance on drone. It creats more terrorism. By killing taliban US can make thier land save but it indulges Pak to endless war of revenge and extremism. When will we understand this simple logic and work to protect our own interests. No one expected any good from talking with TTP criminals anyways- Their only aim is to destabilize the nation to serve their foreign masters. All that the TTP cowards can do is attack innocent policemen, women and children with military weapons. The majority of Pakistan’s people despise them so it is only a matter of time before they fizzle out. There is no point in dealing with cowards. Drone strikes and talks with Taliban are now one point agenda. New Government has to be determined to stop the strikes since they not only strike on their so called targets it every time strike our sanctity, solidarity and self respect. Only a Baighairat can allow drone attacks. If anything is going to work, its the sight of a drone being struck down. MNS doesn’t have what it takes. I mean look at him. He is not even original. He was a premier twice before, did he vacate the PM house then? Did he decrease expenses on his and his ministers security? Did he say his ministers wouldn’t wave Pakistani flags on their cars? Lets not go that back, did any of this happen in Punjab in the last 5 years only? Its a copy paste job. Whatever PTI would do, they would copy. Better have the trendsetters call the shots. theirs no hope with MNS and Kerry is coming in a months time to dictate terms. So much for the “Sher”. Good ground intelligence for the US drones. Keep up the good reconnaissance on the terrorists for more drones. Hail to the chief Obama and our intelligence on the ground. What do they mean by having Lush Green environment, clear blue sky and pure water,, at their back..??? The failure of forthcoming talks was as such a foregone conclusion but this drone attack provides them the excuse to continue their mayhem on the innocent people. The sight of their own commander and other comrades getting killed has badly rattled them but not so for the innocent people and beheading of soldiers which they have been carrying out without any mercy really serves them right. If they continue their attacks on civilian and military targets, the civilian govt should ask the military to launch decisive operations in right earnest and not allow them any free passage as done previously. im surprised to see people’s reaction here. Yes you might act out of anger but the reality is that army operations have failed. They have failed in the past 8 years so what makes you people think that further army operations will not have same results as previous? emotional fools will remain fools. and the common people will have to suffer in the form of death and misery. We need to act smart to solve this problem. Lets review the facts; TTP continued killing people of Pakistan while suggesting “talks”, but when drone strike happens, suddenly possibility of talks “withdrawn”!!! Conclusion: OK for TTP to kill, but not OK to kill them (by their rules)!!! what else can we expect from a group that wants to destroy the state of pakistan? what were they going to negotiate about anyway? I agree with what many comments say here: i dont want to see smug faces of these terroriss. It hurts me. Pls stop this ET. I think now IK will say its bcoz of the drone strikes? Which was the whole purpose of the drone attack, to derail any future dialogue process. This is what Americans do, whenever there is a peace agreement (or a prospect thereof) between the government and the militants, they sabotage it. The militants are though correct in blaming the Pakistani government for allowing Americans to use drones with impunity. It is extremely important for the incoming PTI’s provincial government to distance itself from the PML(N)’s federal government and their behind-the-scenes collaboration with the Americans. But at the same time keep pushing for peace! As for the PML(N), it must prove itself by stopping the drone attacks and directly engage with the militants in the peace process!! Bring it on. One down a few hundred to go. This is their actual face which is always based on fake and treacherous deeds. They are never to trust. Their “SINCERE DIALOGUE” offer means immunity to their crimes against humanity. Once achieving immunity they will blackmail over Sharia Law. These are out-dated creatures of time. They need to be extinct like Dinosaurs…So some decades after Pakistani “Lollywood producer can make “Pakistani version of Jurassic park” based on their anti-human crimes. Famous quote, nature can’t be change, as scorpion is to bit. They are poisonous to any society. @danish: Death to Pakistan. Do you like this? If not don’t post silly comments like these . Are there any Drone strikes in Afghanistan? Sounds great – but kinda vague on specifics. How exactly does one “stop” the drone attacks and is Pakistan prepared to make an enemy of it’s largest trade partner, largest charitable donor, and the most powerful military and economic force on the planet? Further – how does making an enemy of the USA strengthen your bargaining position with the Taliban? I will be more than happy if our army take some action against these terrorists without making a formal announcement before action. What is the actual purpose of these advance notices? don’t we the name of India pakistani brother…………. Why Nawaz is Silent on Drone attack In NW 2 days back. When are we going to see as a ero or a martyr! The recent drone attack that caused the death of the senior TTP leader draw a new picture of these drone attacks. Today Imran Khan also demanded to stop drone and then this news that TTP planning to withdraw offer, don’t you see some link between all these stories? The White House spokesman Jay Carney said, Wali-ur-Rehman “has participated in cross-border attacks in Afghanistan against US and NATO personnel and horrific attacks against Pakistani civilians and soldiers”. These common enemies of ours have been creating havoc on our nations for years. No death should be rejoiced, but the fact remain that this one man has been responsible for thousands of innocent deaths both in Afghanistan and Pakistan. It is time for all, who oppose senseless violence, to stand united and fight this evil. Peace can only return to the region when these pallbearers of death are defeated. Some still say that Army action has failed and talks are the only solution. Army action has not failed. Pakistan’s army never wanted to wipe out the talibans. In fact they were protecting the talibans. Now that the army appears to be wanting to wipe out the talibans, Pakistanis should support and push the army to act boldly. “If US can talk, why not Pakistan?” is the stupidest of all reasoning. Talibans are not occupying USA. Nor do they want to rule USA though they may want to cause damage to USA. These talibans are occupying Pakistan and want to enforce their laws on everyone in Pakistan, and they want to do it by force and not through any democratic system. How are you so sure that Pakistan army wants to wipe out Taliban now whom they were protecting previously ? You might be well aware that the military ruled Pakistan for three decades and who knows what is going on their mind now. “Wali-ur-Rehman was a serious and mature man” …. Mature men do not kill innocent people!!!! To date they have not stopped their bombings. When talking of peace, both sides must stop the KILLINGS!!!!!! It is just an inner feeling I have. I believe they will come out in the open and start taking action on the talibans once the major political forces express clearly and strongly their determination and desire to wipe out the talibans totally. Political forces should push the army. Religious parties and PTI should be ignored. Army would also be realizing that once the talibans take over, the army themselves shall have no place. They shall lose all respect from the population, and also all luxuries and authority that they are so used to. Army would care more for loss of respect than for the loss of lives of their own. Mr. Mirza who represents the sane voices of Pakistan commented yesterday in another ET news section that if Pakistan fails to take out the talibans, other countries will do on their own and this would mean “boots on the ground” of foreign forces like USA, NATO, etc., within Pakistan. Peace can not return to the region without the approval of the USA, the super power, whose administration does not recognise the authority of the International criminal court, nor of its own supreme court outside USA. The extra judicial killings in Pakistan territory will continue until the incoming Pakistan Government has not annuled the agreements made by the Indian born Musharaf!! Hey fellows, do not get upset over the drone attack! The USA administration is still following their strategic policy of egime change! They know that another member will take over, it mattrs very little for them. Their aim is to eliminate the leadership after two terms; this is how they wanted Musharaf to leave and why they wanted Gadafi to leave and now the Syrian President. Karzai got away by declaring that he is vacating. Mind you they have nothing against monarchy an allow them to keep their head as long as they imlement reforms and hand over the real power to their Governments. In reality they are more or less supporting what the people in the free world practice and people all over the world desire. A change after two terms? well american negotiating them in qatar pakistan should do the same to end there negotiation with afghan taliban, there is no other way to teach them a lesson. They are an outfit of professional killers and dacoits. They are by and large usa sponsored/funded and giving bad name to the muslim Ummah amidst the comity of the nations.